Marta Acosta just revealed the cover for the four Casa Dracula novel, Haunted Honeymoon that will be out in October 2010. I love the blue and black cover. Anya Bast posted an excerpt for the second Dark Magick book, Cruel Enchantment. Sounds like it will be a great book to me. 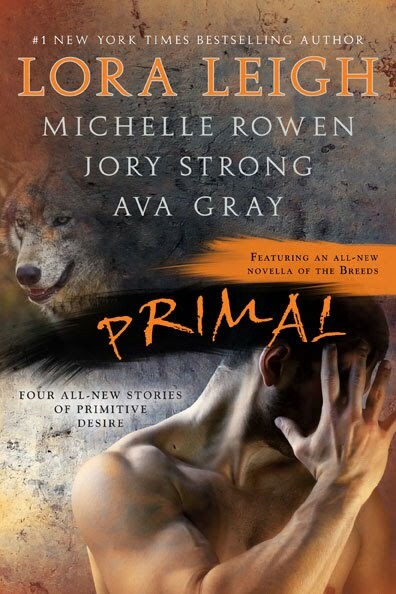 Primal has two of my favorite authors, Lora Leigh and Michelle Rowen, comes out in February 2011. I love the cover. Molly Harper, author of Nice Girls Don’t Have Fangs series has just signed a contract with Pocket for How to Flirt with a Naked Werewolf, and How to Talk to a Naked Werewolf. Sounds interesting. Born to Bite, book 13 in the Argeneau series by Lynsay Sand’s is due out August 3rd, 2010 but you can read Chapter 1. Shifter Lovin, book 2 in the Shifter Unbound series by Jennifer Ashley finally has a release date of March 1st, 2011. I will post the cover once it is revealed. A number of books will be release tomorrow. I know I have a number of them ordered, what about you? Speaking of Jocelynn Drake I found out that she will be in Boonsboro Maryland for a book signing with Nora Roberts, Diane Whiteside, Donna Koffman, Loretta Chase, and Mary Blayney on July 10 from 12 to 2. I am hoping to make it. I have wanted to go to a Nora Roberts signing since I moved here, but haven’t made it yet. This one is one I really want to attend, since there are some wonderful authors attending. Oh wow, I know Boonesboro well! I used to habg out there on occasion when I lived in Frederick. You should go, it’ll be a blast! Take pictures! Thanks Terri. I think I might. I have always wanted to go since I am so close. If I make it I will take lots of pictures and post them. Thanks for the link to Lindsay Sand’s sneak peak. I was just looking around for a new one from her. Thanks! Your welcome. Enjoy it. I love Lynsay Sands books. I can’t wait for the next one.